When will be Bonde Söker Fru next episode air date? Is Bonde Söker Fru renewed or cancelled? Where to countdown Bonde Söker Fru air dates? 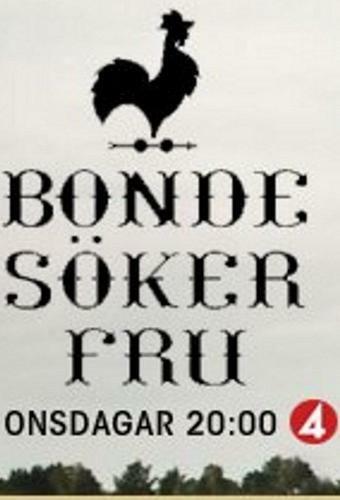 Is Bonde Söker Fru worth watching? Farmer Wants a Wife is a Swedish adaptation of the original format Farmer Wants a Wife and broadcast on TV4. The program produced Meter Film & Television, and gives Swedish lonely single farmers the chance to meet with various potential partners, subsequently trying to find their true among these. Hostess for all seasons has been the former Miss Sweden-winner Linda Lindorff. The program was first broadcast in 2006 and is usually transmitted between October-December. Bonde Söker Fru next episode air date provides TVMaze for you. EpisoDate.com is your TV show guide to Countdown Bonde Söker Fru Episode Air Dates and to stay in touch with Bonde Söker Fru next episode Air Date and your others favorite TV Shows. Add the shows you like to a "Watchlist" and let the site take it from there.